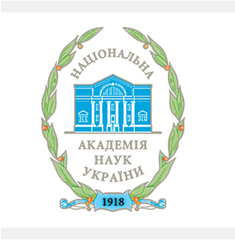 On November 28, the Volyn Regional State Administration, Lesia Ukrainka Eastern European National University, Volynskyi Branch of the All-Ukrainian Human Rights Organization “Memorial” named after Vasyl Stus launched a new platform for Ukrainian-Polish cooperation – the Volyn Platform for Dialogue Scientific Forum. The objective of the event was to search for the components of a constructive dialogue in order to reach agreement on the issue of national memory and Ukrainian-Polish history. The science workers of I.F. Kuras Institute of Political and Ethnic Studies of the National Academy of Sciences of Ukraine, Doctor of Historical Sciences, professor, Chief Research Scientist of the Department of history and theory of political science Yuri Shapoval and doctor of political sciences, professor, Leading Research Scientist of the Department of national minorities Oleg Kalakura, were invited to participate in the forum, which was held in the Volyn Regional Museum.